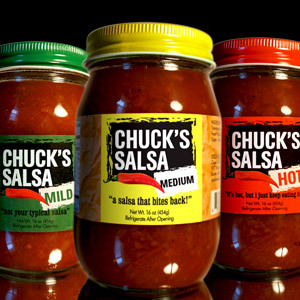 Stop by a Chuck's Salsa demo and get the first hand experience today! 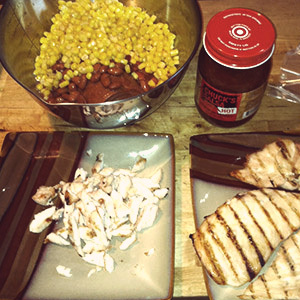 Once you try it, you'll understand what all of the fuss is about! 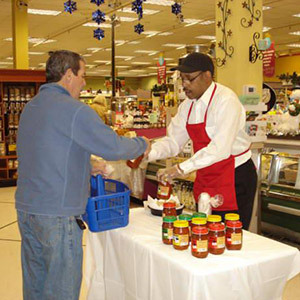 Not only do we carry our own line of salsa, which includes Mild, Medium and Hot, but we also carry apparel to keep our customers fresh! Running out of ideas for your next social gathering? 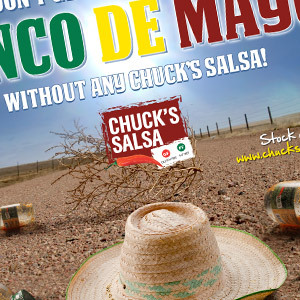 Check out our recipes page and experience Chuck's Salsa on a whole new level! Sign up for our newsletter to receive updates about in-store demos, charity events, product information, savings and much more!